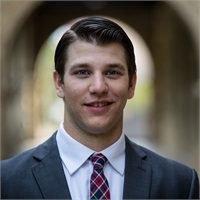 Brennan Kurtela became an LPL Financial Advisor in 2016 after spending two years as the Investment Sales Assistant at Stanford Federal Credit Union. Born and raised in Woodside CA, Brennan attended high school in San Francisco and studied Finance at Gonzaga University in Spokane WA. Brennan graduated from Gonzaga with a bachelor's degree in Business Administration with a concentration in Finance. Currently, Brennan's primary objective is to support the financial advisors at SFIS, and strengthen and maintain member relationships. In addition, Brennan strives to provide tailored advice to each client's unique situation. With resources from Stanford Federal Credit Union and LPL Financial, Brennan develops customized strategies while delivering a high level of personalized service. Outside of the office, Brennan enjoys golfing, skiing, playing ice hockey, reading, hiking and attending sporting events. He is located at Stanford FCU’s Medical Center Branch, but is available by appointment in all other locations.